Most of the treatments described have been developed to treat general pneumothorax, and have not been specifically developed for BHD patients. Therefore, before you have any treatment, it is important that your doctor knows that you have BHD, and it is possible that you may develop collapsed lungs in the future, as this may change the course of treatment they suggest. Additionally, if you have already had surgery on your lungs, you should tell your doctor about this too, as this could also affect the best course of treatment for you. 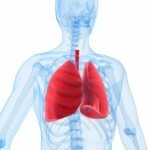 Recently, BHD experts from Japan and the Netherlands have suggested that the best way to reduce the chances of further episodes of collapsed lungs is to completely eliminate the space between the lungs and the chest wall (the pleural space). To do this, they recommend combined pleurectomy and chemical pleurodesis to physically stick the outside of the lungs to the chest wall. Have you had any lung treatment and want to offer advice, or would you like to know more? Why not post your advice or questions on our forum or the BHD Syndrome Facebook Group?